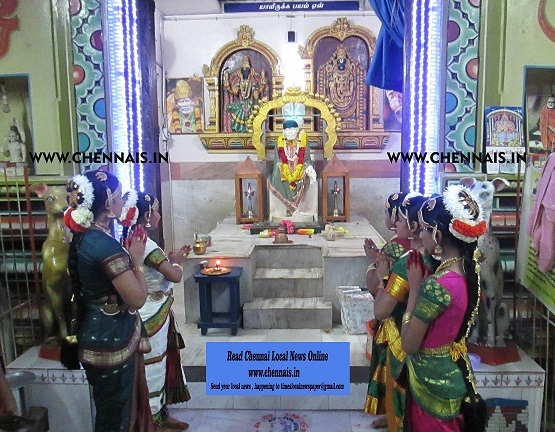 “Shri Bhairavasai Temple has inaugurated the 9 day Navarathiri golu festival in the temple commencing from 11 th Oct. Vedic scholars have started doing the sahasranamams and this will be continued for next 9 days. Children performed Bharatha Natiyam in a traditional way to commemorate the Celebration. Dolls were organised in the golu in a traditional, organised way. People from the local area participated and enjoyed the celebrations. Post the Dance performance A special Arathi was performed to Sadhguru Shirdi Saibaba and prasadams and annadhanam were distributed. The organizers of the event is inviting all to visit the temple and have the holy glimpse of the Golu and Sadhguru Saibaba during Navarathri.